Amazon’s most popular Echo is now even better. 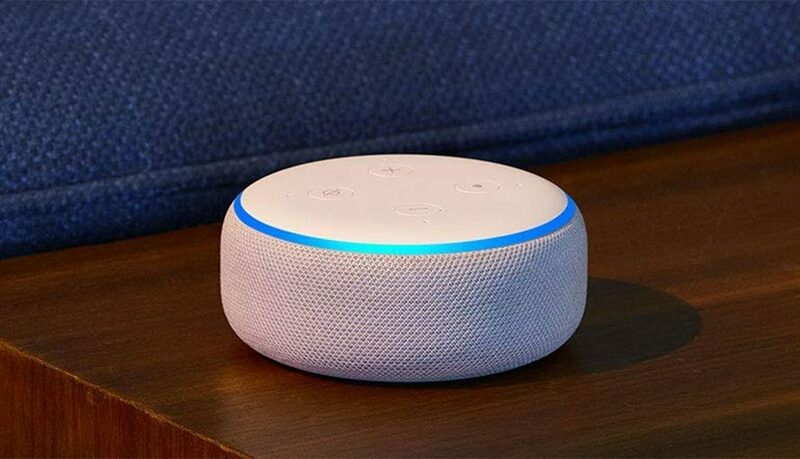 With a new speaker and design, Echo Dot is a voice-controlled smart speaker with Alexa that’s perfect for any room. Just ask for music, news, information and more. You can also call anyone with an Echo device, the Alexa App or Skype, and control compatible smart home devices with your voice. Alexa has tens of thousands of skills and counting. Skills are like apps and help you do more, such as playing True or False, tracking your fitness with Fitbit or falling asleep to rain sounds.